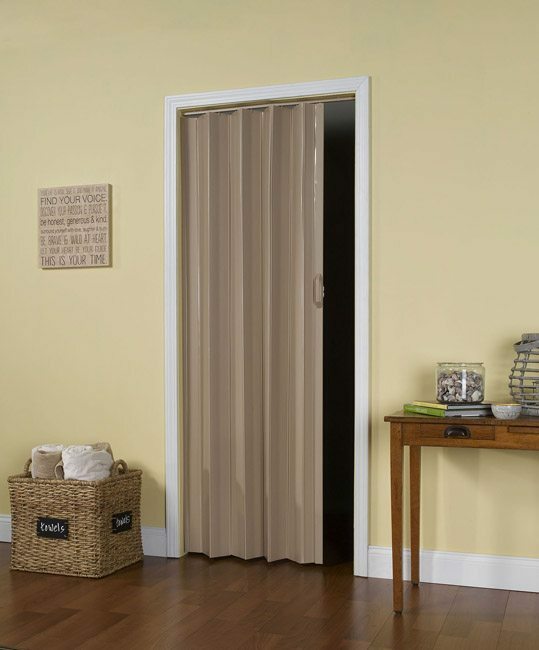 The Sienna Decorator Series is our newest collection of folding doors in neutral designer colors. 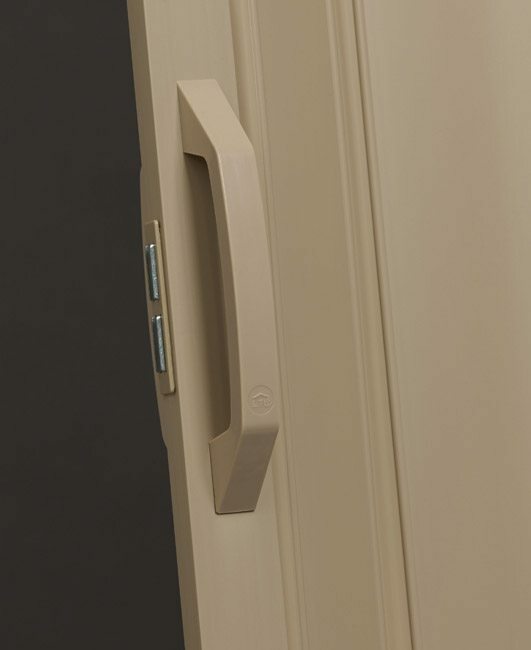 This solid vinyl door has flexible hinges and fits openings from 24” to 36” wide by 80” high and is compatible with a wide array of interior color schemes. Available colors are Timber Beige and Cottage White. 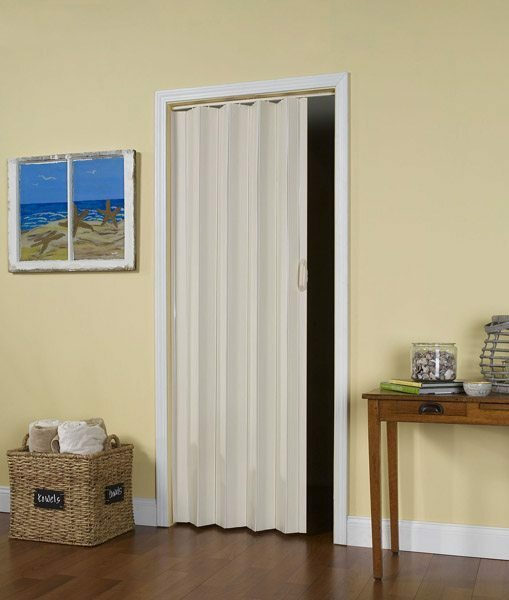 Sienna folding doors can also be installed as a double door by using two single doors. 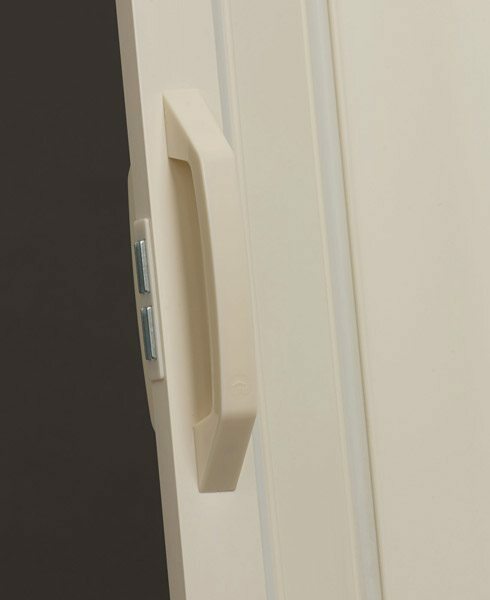 This door can also be trimmed from the bottom to fit various height requirements.